ATM Route business for sale $259,000! Currently nets $96,275 per year as a owner of the business. Business currently operates 25 ATM machines located within a 20 minute drive of each other in and around the Louisville, KY area. This route has great margins and volume and the ATM route can be serviced in only 2-3 hours per week. There are 5 year contracts for a majority of the locations on this route, with multiple years on the others. This is an ideal part time/passive business with a nice income! No lease, no employees, flexible hours, easy to run and fully automated. Remote access and reports on each ATM machine make this business very easy to monitor and run and the only inventory is cash! What is the current yearly net for this route? Currently this route nets $96,275 per year. Income documentation will be provided to all serious buyers. The ATM route business is automated so you get paid each time a customer withdrawals money from one of your machines. With each ATM transaction the money withdrawn from the ATM machine is batched and redeposited to your bank account nightly along with the surcharge fee via ACH transfer. A certain percent of this money is then paid to the merchant location where the machine is installed. Financing available through our third party source Apply Here. There is no seller financing for this route, and unfortunately banks will NOT write business loans against route based businesses. Expenses for this route are very limited, but include: merchant rent/commissions, fuel, repairs, paper costs, and insurance. How much money do I need to stock/vault for each ATM machine? The amount of money needed for each machine will vary for each individual location depending on the amount of transactions. However on average $2,000-$3,000 will be needed on a weekly basis to stock/vault each machine. In addition the more you are able to commit to each ATM machine the less you will have to service it. What types of machines are included? The ATM machines are mostly Hyosung 5000s and all are ADA compliant and up to code with all other industry regulations. A complete equipment list can be sent to interested buyers. A vehicle does not come with this business. However any type of vehicle will do. Most use their personal vehicles to service the ATM route. When considering a vehicle lease or purchase, Routes For Sale recommends Bush Trucks. ATM routes are priced based on several variables including net cash flow, hours required to run the route, capital/cash required to fill the machines, contract length and type, machine type and placement type. To determine the selling price of the route a 2-3 multiple of their yearly cash flow/net income, plus assets is typically used. Yes! ATM Route values can be increased by new account openings, adding locations, improving splits and increasing contract length. The seller is planning on relocating out of state. The owner works 1-2 days per week at most and only a few hours per week! This ATM route Business consists of 25 fully serviced machines. This is a tightly located route which is easy to service, well established & Turnkey! This route only takes a few hours a week to run and a new owner can make a very nice income. High volume locations, all within a very short distance to each other. Start making income the day you take it over. Great opportunity for buyers looking for additional income. Priced at $259,000! Contact Us About This Route Here! Below Are More Frequently Asked Questions About The ATM Industry! How do you make money with an ATM? As an owner of an ATM machine you make money each time a customer uses your ATM to take out cash. A convenience fee or charge is placed on the machine and you collect that fee and are paid on a daily basis. Who loads the cash in the machine? As the owner of the ATM machine you are responsible for loading cash in the machine or having a 3rd party load cash into the machine. This cash is also paid back on a daily basis as customers pull cash from the ATM and deposited back into a bank account of your choosing. How do I get my money back when the customer takes the cash out? 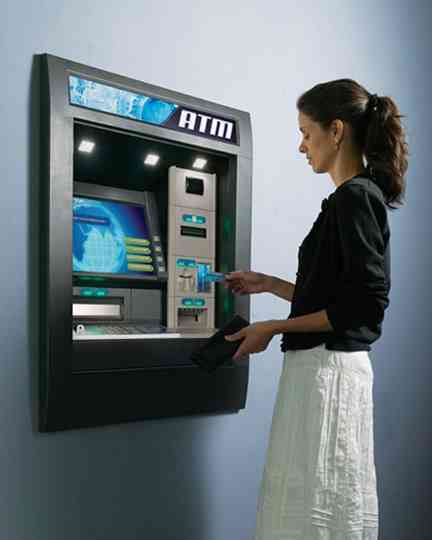 The ATM machine is connected to a phone line, internet or wireless device which is connected to a processor. The ATM processor talks to the customers bank and your bank and diverts the money into your account, again on a daily basis. Where are ATMs typically placed? ATMs are normally placed in Convenience stores, Gas Stations, Hotels, Bars, Cash only establishments or other very high traffic areas. Independent deployment of ATM machines has been going on since the mid to late 1990s and many high profile locations already have ATM machines. As with any business there is competition although there is still room for deployment in many locations and some ATMs are in need of upgrading. Finding ATM locations is much like vending locating and basic sales strategies have proven very effective. Canvassing and calling into specific areas and locations and looking for accounts is still likely the best way to find new accounts. Do I need contracts for the locations? Contracts with merchants are a good idea although many operators run their business without contracts. A good contract for an ATM in a merchant location will outline the surcharge fee and the split and who is responsible for any communication costs. A good contract will also be 3-5 years in length and have an auto-recurring clause. One way to think about the contract is to have something on paper describing the ownership of the ATM in case a location were to close and the ATM would need to be retrieved through a 3rd party etc. How much does an ATM cost and where do I buy them? Independently deployed ATM machines can range anywhere from $2000-$5000 depending on several factors. The main factor determining the price is the dispenser. The ATM dispenser is the device inside the ATM that holds and dispenses the cash. There are varying sizes and types of dispensers and when the dispenser can hold more cash and dispense more than one denomination, the price goes up for the ATM. 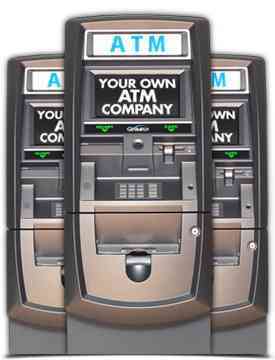 ATM’s are sold by many national and local retailers and prices and specs can be easily found online. Who are the different manufacturers of ATMs? The 4 main manufacturers of independently deployed ATMs are Nautilus-Hyosung, Triton, Hantle-Tranax and Genmega. How large are these ATM’s and how much do they weigh? Again, this is variable, although most independently deployed ATMs are about the size of a tall filing cabinet (around 50-56 inches high by 20-25 inches wide by 20-25 inches in depth). These smaller stand-alone ATMs often weigh around 200-300 pounds and can be moved with a dolly by one or 2 persons. What is the normal customer fee on the ATM for taking out cash? Fees are variable depending on location type and area of the country or city. Currently fees are anywhere from $2.00 on the low end to $3.00 on the high end and some locations are less than $2.00 and some are more than $3.00 and again the fee can be set by the owner of the ATM. What is the basic structure of the ATM fee and split to the merchant? The ATM Convenience fee of $2.00-$3.00 is normally split or partially paid to the merchant or owner of the location where the ATM is placed. This split is dependent on the location and the volume of the account and is up to the ATM owner to determine. This split can be paid out automatically on a daily basis or on a monthly basis by check or ACH. Normally the split is a portion or a percent of the total surcharge fee although the structure of the split is again up to the owner of the ATM machine. What other fees are associated with the ATM transaction? In addition to the convenience fee the cardholder taking cash out of your ATM also pays what is called a foreign bank fee. This fee is collected by the cardholder’s bank and a portion of that fee is normally paid to you as an owner of the ATM machine by your processor. This is called Interchange. The interchange rate is associated with each surchargable transaction. In addition to surchargeable transactions, the ATM Business could receive interchange on balances, transfers and bank denials. This rate is highly variable depending on the processor. Interchange payout is typically anywhere from $.10-$.25 per transaction and is paid to you as an owner of the ATM on a monthly basis by your processor. What other costs or expenses are there in running an ATM business? There are several costs to consider. Cost of capital or cash required to load the ATM’s (this is your responsibility as an owner of the ATM), Vehicle and fuel costs to drive and fill the ATM’s, paper, parts and repair costs if a machine were to breakdown. Who is responsible for the communication costs (phone, internet or wireless)? The costs of the communication can normally be absorbed by the merchant if there is an existing phone line not in full time use or there is easy access to connect the ATM via internet. If this is not an option, there are wireless options which typically cost anywhere from $15.00 to $20.00 per month. If this is the case, again it’s up to the parties involved to negotiate this cost. How long do the machines hold up and what is the maintenance? New ATM machines normally do not require much maintenance outside of keeping them filled with cash and changing out the receipt paper from time to time. Like any other piece of equipment, ATM’s can break and require repair although anyone with basic maintenance skills can fix and learn how to repair an ATM. There are many ATM repair companies as well as online resources. What types of things break and how difficult are they to fix? An ATM machine only consists of a several parts. There is a safe, lock (dial or e-lock) a display screen, keypad/pinpad, printer/paper roll, a card reader, a main board with a modem, a power supply and a dispenser. The dispenser also has a cassette where the cash is held. The dispenser of the ATM is the most expensive part in the ATM and after years of use can require replacement. Availability and costs for ATM parts and repair are easily accessible through a number of national retailers. What is it like to run an ATM business? Running an ATM route or business can be a busy and highly variable job. There is sales (finding locations), installations, maintenance, filling machines or vaulting cash, keeping track of records and writing checks and sending monthly statements to your merchants. What are the advantages of owning an ATM business? When you own an ATM business you can make your own hours, can be run part time, the business is easy to monitor, there are normally no employees, the books are easy to maintain, the risk is spread amongst several locations so if you lose a location you can find another location. The business can be grown fairly easily for a person with the ambition and time to dedicate to finding new locations. If you have current customers, referrals and word of mouth are great ways to grow your business. How do I know when machines need cash or service? The ATMs are all connected by either phone or internet to a processor and the processor makes available all of your terminal information by computer and often times by phone or other mobile device. This way you can monitor how much cash is in each machine and you can see real time information about your terminal and what types of transactions are going on with your ATM’s. How much do the machines hold in cash? The cassettes in the ATM and dispenser are variable and can hold anywhere from $20,000-$50,000. Machines are normally single denomination and 20’s are the norm although machines in some locations can have multiple denomination and can dispense 5’s or 10’s along with 20’s. A typical machine holds 1000 notes or $20,000 in 20’s and this is a good standard machine. How often do you need to fill the machines? This is highly variable depending on how busy the location is and how much capital you have to put in the machine. Ideally the machines could be filled as infrequently as possible in relation to the capital you have to deploy. Most independent operators attempt to fill their machines no more than once per week. Obviously, when you own an ATM business you are dealing with cash and you need to be as safe as possible. There are several factors to consider choosing a location and when installing and servicing your ATM’s. Every owner is different in regard to how, when and what locations they feel comfortable installing and servicing. The things they do to protect themselves while running the business is also a personal choice and varies from person to person. As in any case, common sense is often your best protection against crime. Are there 3rd parties which can handle the vaulting of cash and the maintenance? Yes, there are many resources where you can have your ATM business completely or partially outsourced to a 3rd party. There are several national and many local companies which will load cash at a cost. They can also be hired to take care of any or all maintenance issues for you. The costs for vault cash and loading are highly variable depending on your machines, volume, locations, frequency and total load volume.